A new restaurant is putting the 'cue in Quakertown. 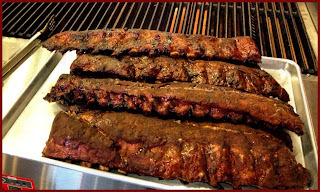 BigBites BBQ (641 S. West End Blvd., 267-227-3102) is nearly 100 percent gluten free, with the only items to be avoided are wheat bread and rolls and kids' macaroni and cheese, all of which are kept in separate areas. So what's safe to eat? How about the baby back ribs, pulled pork, chicken breast, chicken quarters, meatloaf and slow-smoked brisket. How about all of the sides, from potato and cucumber salads to corn bread (made with rice flour). Three members of the owners' family have celiac disease, so keeping the food preparation safe for those eating gluten free is a priority. There's no airborne flour, and when someone requests a sandwich on an Udi's gluten-free roll, the item is prepared by one employee from start to finish using fresh gloves and utensils. For now, BigBites is open on Fridays and Saturdays from noon to 8 p.m. and on Sundays from noon to 6 p.m. Reader Kristin R. let me know via the Gluten Free Philly Facebook page that longtime Avalon Mexican spot Tortilla Flats (2540 Dune Drive, 609-967-5658) has a gluten-free menu that includes tacos, enchiladas, fajitas, chili, nachos and salads. For Anna Hitchens, creating Cambodian desserts for her South Philadelphia-based bakery, Koliyan, is more than just a fledgling business. It's a way of preserving a personal history that was lost in the years after her parents fled Cambodia during the 1970s civil war and genocide. Hitchens and her husband, Tim, visited the southeast Asian kingdom last year on their honeymoon, and the trip opened her eyes to a culture that she had known so little about. With all of the pizza and pasta mentions in this post, I'm renaming this Friday roundup compendio di venerdi. Opening Monday in South Philadelphia is Kermit's Bake Shoppe (2204 Washington Ave., 267-639-4267), a take-out/delivery-only pizza shop and bakery. Taffets gluten-free baguettes will be sold there, as well as pizzas made separately with Taffets 12" shells. Philadelphia has had many a beer festival over the years, but they haven't embraced gluten-free brews. This September, though, there'll be an event much more welcoming. 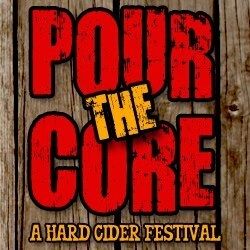 Pour the Core: A Hard Cider Festival will be held on Sat., September 28 at the Philadelphia Navy Yard. These days, hard ciders are enjoying popularity that's driven by both breweries and wineries taking advantage of the fast-growing interest and appeal, particularly among the gluten-free community. Philly’s very first hard cider festival will showcase the finest U.S.-produced and internationally-sourced ciders - more than 30 in all. Among the featured brands at the festival will be hard ciders from Virtue Cider, Strongbow, Stella Artois, Vermont Hard Cider Co., McKenzie’s Hard Cider, Blackthorn Cider, Original Sin, Ace Cider, Doc’s Draft Hard Ciders, Spire Mountain Draft Cider and Anthem Cider. Woodchuck is the tasting glass sponsor and Strongbow will be hosting a special mixology tent for demos and instruction. The event will take place outdoors, under tents, on the Parade Grounds in the Philadelphia Navy Yard (4747 S. Broad St.) from 1 p.m. to 5 p.m., rain or shine. Food, including gluten-free options, will be available for sale from select members of the Philadelphia Mobile Food Association. There will also be music and special seminars about cider, the making of cider, and the enjoyment of cider. Tickets are $40 each when purchased in advance or $65 at the door on event day (if the event is not sold out). Tickets include admission to the festival, participation in special programming, a 5 oz. souvenir tasting glass, and the freedom to enjoy samples from participating exhibitors. Designated driver tickets are also available online for $10. No one under 21, including designated drivers, will be admitted and photo ID is required for entry. As always, enjoy responsibly. The out-of-town "better burger" invasion has spread beyond Philadelphia borders into the suburbs. The latest to land is Burger Monger at the Willow Grove Mall (2500 W. Moreland Rd., 215-659-8099), which, like Burger 21 (new to Voorhees), originated in Tampa, Florida. Burger Monger's gluten-free patties and hot dogs are made with healthier Akaushi (Kobe-style) beef. The proteins, including Coleman free-range chicken, are prepared on a separate grill away from the bun grill and separate utensils are used. Customers can get Kinnikinick gluten-free buns for the sandwiches or order them wrapped with lettuce. 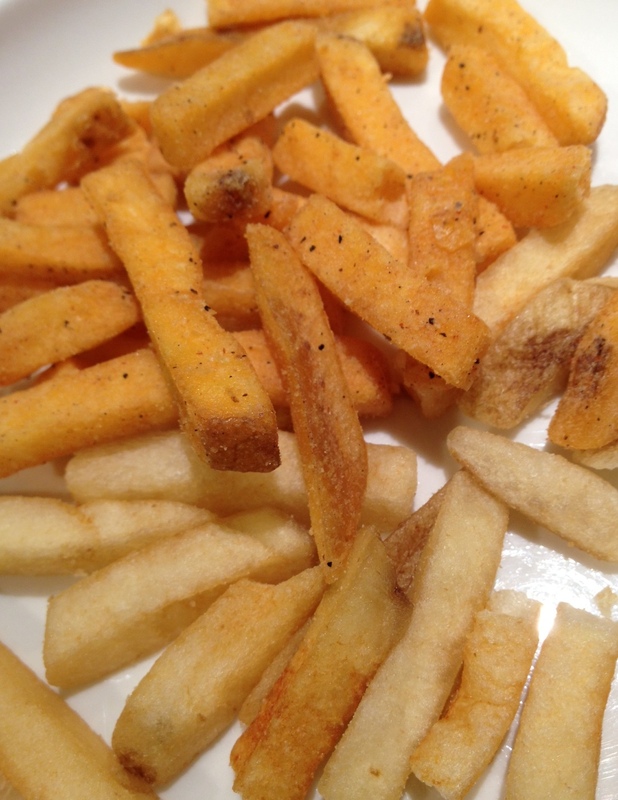 The fries at Burger Monger are also gluten free, with no chance of cross-contamination since nothing else goes in the fryers. The kitchen uses separate containers for gluten-free milkshakes (made with Häagen-Dazs ice cream) since malteds are also on the menu. A mini chain out of northern New Jersey, Zinburger, has opened on the old race track grounds in Cherry Hill (923 Haddonfield Rd., 856-488-7590). The restaurant is styled as a "wine & burger bar," with a selection of vino in addition to the standard menu of burgers, shakes and fries. The burgers themselves are gluten free, the fries are prepared in dedicated fryers, and shakes sans malt can be made separately. No buns, though customers can bring their own. Reader Kara M. tells me that in Philadelphia's Washington Square West neighborhood, Mediterranean spot Barbuzzo (110 S. 13th St., 215-546-9300) accommodates gluten-free diners. At a recent meal, she and her husband enjoyed items on the cured meat board, roasted beet salad, grilled octopus salad, roasted bone marrow and the peanut butter gelato. Also in Wash West, Paesano's Philly Style's newest location at Woody's Bar (202 S. 13th St., 215-545-1893) has gluten-free rolls for cheesesteaks. Chifa, the Latin-Asian hybrid in the same neighborbood (707 Chestnut St., 215-925-5555), is closing after dinner service tomorrow night. Chef-owner Jose Garces plans to reconceptualize the restaurant as a Cuban diner. Fette Sau, the Stephen Starr BBQ joint in Frankford (1208 Frankford Ave., 215-391-4888) has changed the formulations of two of its three table sauces so that only the "Spicy" sauce is gluten free. Thanks to reader Elizabeth R. for the heads-up. More at the shore: The restaurant at the Blue Rose Inn in Cape May (653 Washington St., 609-435-5468) notes gluten-free options on its dinner menu and currently has a flourless chocolate cake and crème brûlée for dessert. In Avalon, Kudos American Grille (2619 Dune Drive, 609-368-7422) has gluten-free pancakes and waffles at breakfast, bread and rolls at lunch, and pasta and chicken fingers at dinner, among other choices. 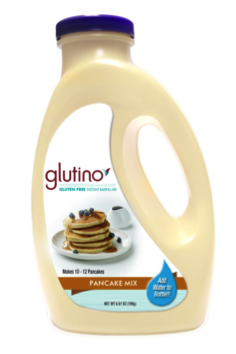 Just opened in Margate is Ginny's (8017 Winchester Ave., 609-816-9370), which has pancakes, oatmeal, and a separate toaster for bread, while nearby Bocca Coal Fired Bistro (7805 Ventnor Ave., 609-823-3663) offers separately prepared gluten-free pizza and pasta. Thanks to reader Lauren C. for those tips. Readers Mark M. and Joseph let me know that Beiler's Bakery at Philly's famous Reading Terminal Market (51 N. 12th St., 215-351-0735) carries baked goods like lemon bars and cookies from Ruth Ann's Gluten-Free Bakery in Lancaster County. Thanks to reader Jaime L., who sent me a photo of the new Pillsbury-branded gluten-free muffins. She picked them up in the freezer case in the gluten-free section at the King of Prussia Wegmans store for $3.79 for a package of four. As I wrote back in March, the GFCO-certified muffins are being produced by Uncle Wally's. When it rains, it pours. Glutino's newest product is instant pancake mix, offering the convenience of a pourable bottle. It requires only one cup of water and, once opened, keeps in the fridge for up to four days. The mix's suggested retail price is $5.29. 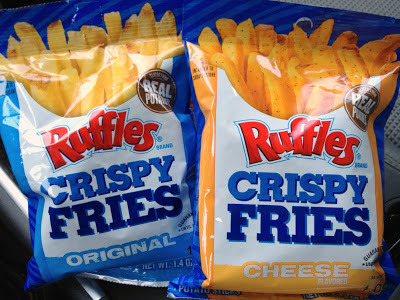 And finally, in case you've been away for the holiday and missed the last couple of post, last week's feature post had a trailer for the upcoming YouTube gluten-free documentary series "Tasty Freedom," which will have a Philadelphia-themed episode, and on Tuesday I posted my review of Frito-Lay's new Ruffles Crispy Fries, a potato-stick snack. "The timeless struggle. The eternal choice." You might think these phrases describe some weighty, life-altering decision, but you'd be wrong. As emblazoned on the packaging of Frito-Lay's newest snack, they characterize the dilemma many of us hope to avoid: choosing between potato chips or fries. The original flavor beats the cheese variety hands down, whether out of the bag or out of the microwave. That's right - I heeded the suggestion on the bag to warm them for 30 seconds to see if they were any good. 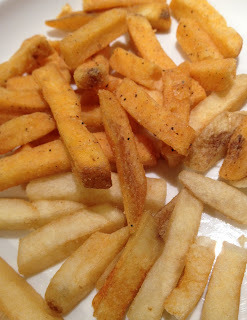 While actual fries cannot be reheated with any level of success, the heat actually improved the taste even as the Crispy Fries retained their crunch. It wasn't on my Outlook calendar, but apparently National French Fry Day is this Saturday, July 13. (Shouldn't it be on a Friday?) I'll be celebrating with some more Crispy Fries. 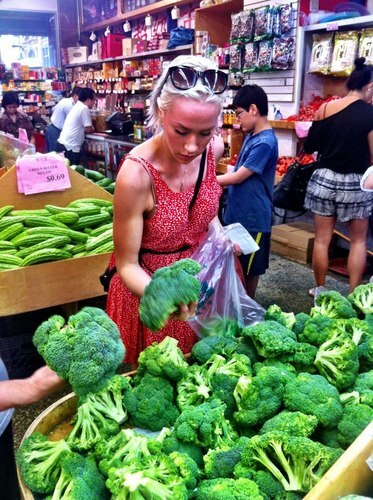 Jaquy Yngvason is building herself quite a resume. Diagnosed with celiac disease more than a decade ago, Jaquy's a professional food stylist and recipe tester (someone has to make all the food in magazines and on television look good! 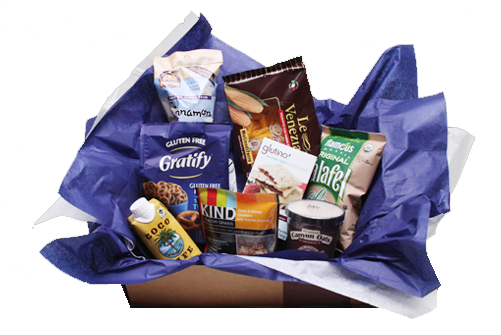 ), allergen-friendly cooking class leader and, most recently, an Internet and TV chef. Jaquy began posting episodes of her web cooking show on YouTube last fall, when she began traveling the United States to work on a documentary series chronicling the gluten-free community. She just posted a preview of the upcoming "Tasty Freedom" series, and popular Philadelphia gluten-free-friendly spots like Sweet Freedom Bakery, Paesano's Philly Style and Food For All Market are featured (along with a certain blogger). Her stardom isn't limited to the web though. On last week's episode of the Food Network series Chopped, titled "Gyro We Go Again," Jaquy battled three other competitors for the chance to win $10,000. If you missed it, set your DVR to record the episode, which airs again Thursday at 9 p.m. Eastern/Pacific and Friday at midnight Eastern/Pacific.